Cadillac's newest: The CT6 luxury sedan. 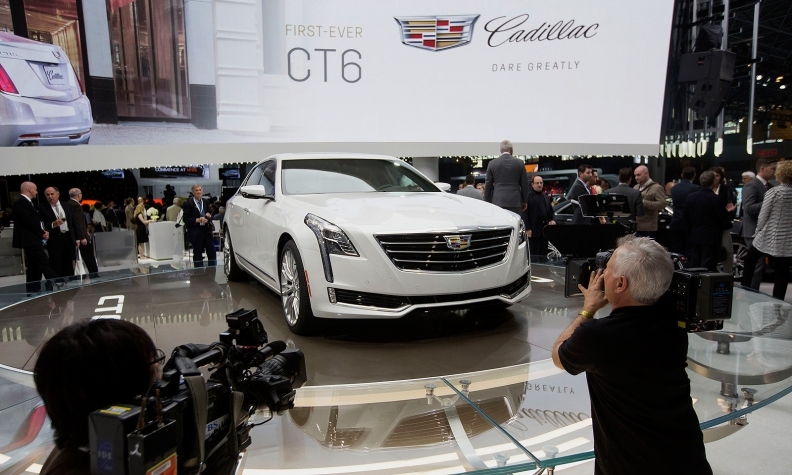 Cadillac President Johan de Nysschen and General Motors product development boss Mark Reuss are having a running debate over Cadillac's edgy styling, according to a Bloomberg report last week. De Nysschen wants something softer and "sophisticated," he said, and would even delay some of Cadillac's new models if he isn't satisfied with the styling. Reuss said he doesn't want a radical overhaul and favors a style that is uniquely American, and he added that he, not de Nysschen, is authorized to delay new models. "Johan and I spend a lot of time together, but I'm accountable for that," Reuss said. Andrew Smith, Cadillac's head of design, said the styling debate is healthy. He said it's his job to come up with Cadillacs that evolve beyond the knife-edge looks the luxury brand started with in the late 1990s. Cadillac spokesman Andrew Lipman said Reuss and de Nysschen work closely together and only would delay models if everyone agreed they would need to make changes to get styling right.